Real estate baron Gopal Ansal on Thursday failed in his last-ditch attempt to avoid serving the remaining period of one-year jail in the Uphaar fire tragedy case as the Supreme Court rejected his appeal. The apex court dismissed his petition for parity with his elder brother Sushil Ansal, who was awarded jail term already undergone by him considering his "age-related complications", and directed him to surrender on March 20 to serve the prison term. During the hearing, Gopal Ansal's counsel Ram Jethmalani claimed that Gopal's health has deteriorated and he was "almost a dead person". He also said that Gopal is "practically living on charity". Gopal Ansal, 67, was in jail earlier for around four-and-a-half months in connection with the case relating to the June 13, 1997 fire tragedy in which 59 persons had died in Uphaar cinema during the screening of Hindi movie 'Border'. Over 100 people were injured in the subsequent stampede. "The appeal filed by Gopal Ansal is dismissed," a three-judge bench headed by Justice Ranjan Gogoi said after Jethmalani argued that his plea should be considered on "humanitarian grounds". After the bench passed the order, Jethmalani said that the four weeks time given on February 9 to Gopal Ansal to surrender was expiring today and the apex court should grant some more time to him. "Please give him some more time to surrender," he told the bench, also comprising Justices Kurian Joseph and Adarsh Kumar Goel, during the nearly 20-minute proceedings. "Gopal Ansal will surrender to serve the rest of the sentence imposed on him on March 20," the bench said. During the hearing, Jethmalani claimed that Gopal's health has deteriorated after the judgement was passed by the trial court in the case and he is suffering from "cerebral problem" which "causes loss of brain and memory". "As compared to my brother Sushil, I (Gopal) have suffered much more. I am also an old man and I have to look after my wife," Jethmalani said, adding, "Kindly give me hearing on humanitarian grounds. I am almost a dead person now". Uphaar cinema has been closed after the incident and Gopal is "practically living on charity", he said. Senior advocate Harish Salve, who is an amicus curiae, said that plea filed by Gopal Ansal is "not maintainable" as he cannot seek a review of a verdict by filing a miscellaneous petition. "Under the rules, review of a review order cannot be entertained like this as this is a criminal miscellaneous petition," he said, adding, "it cannot be maintainable". A bench headed by Justice Gogoi, in a 2:1 majority verdict on February 9, had granted relief to 76-year-old Sushil Ansal considering age-related complications by awarding him the jail term already undergone and had asked Gopal to surrender in four weeks to serve the remaining jail term. Gopal had thereafter approached the apex court seeking modification of its order on the grounds of parity, saying he was 69 years old and would suffer irreparable damage to his health if sent to prison. 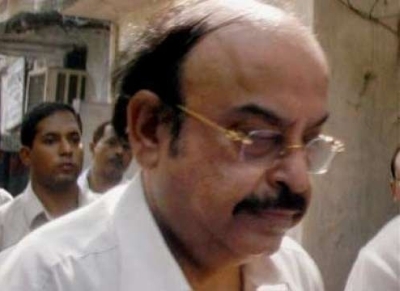 During the proceedings today, the apex court also took up the plea filed by the Association of Victims of Uphaar Tragedy seeking modification of order sentencing Sushil Ansal to the period already undergone by him in jail. "You (AVUT) are also seeking review of a review. You have filed a criminal miscellaneous petition seeking change in the order passed," the bench asked senior advocate K T S Tulsi, representing the victims' association. The apex court dismissed AVUT's plea after Tulsi said he was not pressing for it and the bench can dismiss the same as there cannot be a review of a review order as has been sought by Gopal Ansal. At the outset, Jethmalani said that circumstances were the same for Gopal Ansal as compared to his elder brother who was awarded the jail term of period already undergone by him. He said the apex court had not given the relief to Gopal on the ground that he had not raised the issue of any age related complications earlier. "After the trial court's judgement, my (Gopal) health has become much brittle. I am entitled to parity which has been denied to me on the ground that I have not raised the issue before the trial court. "I am not saying that my brother should not have been given the relief. I am only saying that I am entitled to get the same treatment," Jethmalani said. Jethmalani said even a medical report had noted that Gopal's health has deteriorated after the judgement was pronounced by the trial court and he has "suffered cerebral problem". "This is for the first time that I (Gopal) have sought a review because there is apparent wrong in the order. I have invoked the review jurisdiction against the order which had denied parity," he said. He claimed that the judgement convicting them was "wrong" and while the apex court had imposed fine of Rs 30 crore each on them, the Ansal brothers had also paid Rs 10 crore to the victims in the civil proceedings related to the case. When Jethmalani argued on the facts of the case, the bench said, "we have crossed that stage". The senior counsel concluded his arguments saying, "My (Gopal) case stands on a higher footing and I should have been acquitted clean in this case". In its February 9 judgement, the apex court had upheld the fine of Rs 30 crore each imposed on both the convicts earlier and said it should be utilised for setting up a trauma centre. Earlier, a two-judge bench of the apex court had on March 5, 2014 held Sushil and Gopal Ansal guilty, but differed on the quantum of sentence to be awarded to them after which the matter was heard by a three-judge bench. The Delhi high court on December 19, 2008 had awarded one-year jail term to both Sushil and Gopal Ansal in the case while reducing the two-year sentence imposed on them by the trial court.